Unique Christmas gifts for the golfers in the family. 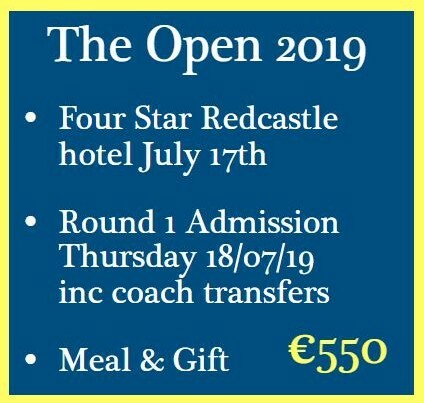 See the worlds top golfers in Portrush in July 2019. 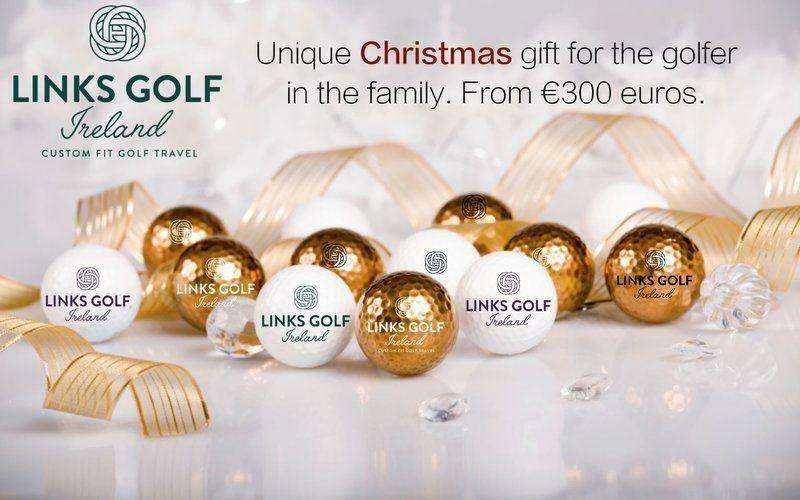 The golfer in your life will be over the moon receiving any of the Christmas gift options we have below. 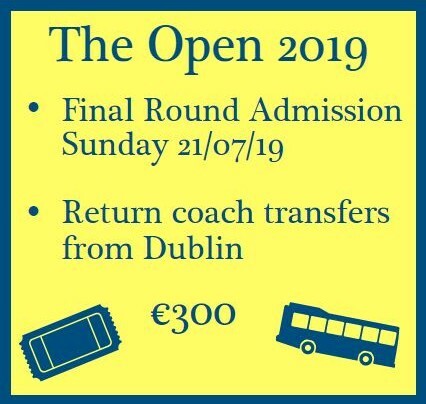 The Open 2019 which is being played at Royal Portrush in Northern Ireland is sold out. We have ticket inclusive packages available starting at 300 euros and these are available to purchase online today! Soft or hard copies of the purchase (gift cert) can be provided. If you have questions give us a call on 01-883-1940 or email conor@linksgolf-ireland.com. 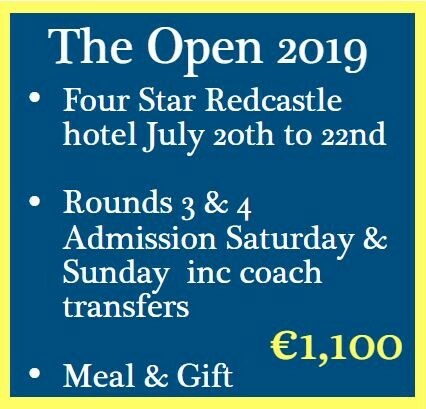 Please note all hotel packages are based on double occupancy - Most guests will buy the hotel packages for 2 people - Prices are per person. 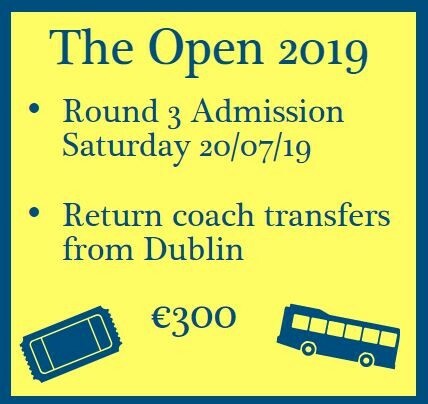 Get close to the worlds top golfers when the 2019 Open takes place! Keep in mind, most guests are purchasing packages for multiple guests. We have several additional packages available at our 3 Open bases which are Belfast, Derry and Donegal. 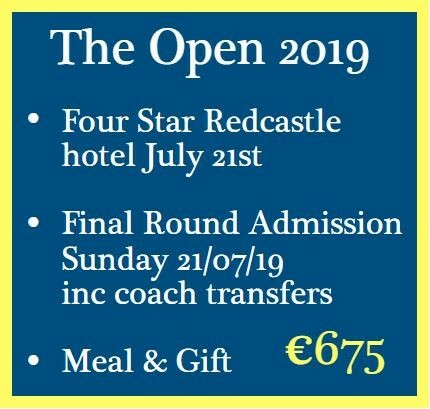 If you would like to review these packages and learn more about what the event entails click on any of the logos below.